The Vril-Force and the Irminsul. In his works Manu - The Manu to Come and Adolf Hitler - the Ultimate Avatar Miguel Serrano equates what he calls Ir or Er with the power of Vril. In one section he also suggests that this can be seen as the power of communication with the Gods and the Inner Earth. This assumes that the term Ir means 'power'; this is thus the root of the Irminsul and the god Irmin. The power known as Vril is usually seen as the Universal Life-Force which is how it is described in the original use in The Coming Race by Lord Bulwer-Lytton. A force that can heal or that can destroy, can be used for good or for evil, and thus a neutral force. Miguel Serrano also sees it this way too, I have to add. Ignoring some of the obvious distortions in this statement it is still possible to see that the core idea here is that of communication with the Beyond or Outside where dwell intelligent beings of a non-human nature. Here this takes place through communication with the lost land of Thule and those who once dwelt there - the Divine Beings or God-Men. It is quite possible to see the Vril-Force as the Universal Life-Force, but it is thus also just as possible to see it as a magical force which has the power of being able to communicate between the worlds, i.e. to 'open' the Gateway to the Gods or the Gateway to Thule. This Miguel Serrano equates with the opening of the Third Eye. He equates Vril with the Odic Force, and thus with Odin-Woden. (We call this the Woda-Force). The upright column is a spear which is the Spear of Woden representing the Cosmic Axis and the Spinal Column (Mount Me-Ru). This spear points directly to the Nail Star or Pole Star which we see above the column. 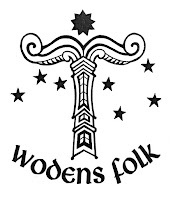 The other seven stars represent the Plough or Woden's Waen which revolves around the Pole Star. The spear is surmounted by the wings of an eagle or swan (or dragon), which represent the transmutation of the earth-bound into the divine God-Man. However, these 'wings' could also be seen as 'veils' which are being 'parted' by the upright column or spear - the veils between the worlds. 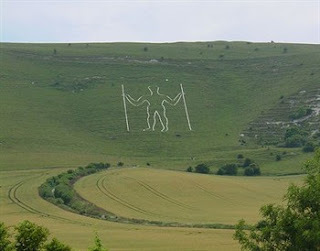 Seen like his the 'veils' are parted and the Way to Thule (Iring's Way) is opened for the Woden Initiate. The North Star represents the Most High or the High One which was the original immovable centre of the Sacral Kingship before the Polar Mythos switched to a Solar Mythos. In the above we see the Long Man of Wilmington who faces towards the North (North Star) and is seem 'opening the Gateway to the Gods' or the 'Gateway to Thule'. The figure is Woden in the aspect of Waendel who is the World-Turner, thus equated with the Cosmic Axis and its symbol - the Irminsul. Indeed, the shape of the figure is that of the Ear-Rune or Cweorth-Rune, so we must look now at the runes which are associated with the Irminsul - and thus to the Vril-Force. Yr - Ior - Ear - Cw-eor-th. All of these are phonetically similar, and even the Cweorth-Rune contains the root-sound 'eor'. We now need to look at the meanings of these runes to understand more of these mysteries. Yr - This is a 'yew-bow' with obvious associations with the Yew Tree, which itself is the Tree of the Immortals and the Tree of Resurrection since it is evergreen and thus 'eternal' and it also reproduces itself even when at the advanced stage of decay. 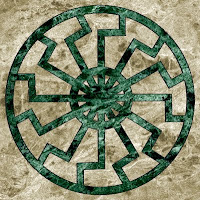 It is a fit symbol for the Aryan Folk since it 'resurrects' itself from within, building a new trunk from the inside of the dying old one. The Yew-Tree is the Tree of Waendal since we find a 1,600 year-old yew in the churchyard next to the Long Man of Wilmington. This rune also suggests the Ur-Irminsul since it is a T-shape (Irminsul) inside the Ur-Rune - it is also the Ur-Tribes of Anglia. Another rune associated with the Yew Tree is the Eoh-Rune whose name stems from a Root *aiw- which is the 'vital force' or 'eternity', and thus a force outside Time and Space. It is a Force from Beyond. Ior - This rune is usually seen to symbolise the World Serpent - Iormungand - whose name actually means 'Wand of Ior-Man'. In the name we have a mystery since the World Serpent is usually seen as representing the enemy of Thunor, yet here we have the name suggesting 'Ior-Man' or 'Irmin' (Ar-Man). Perhaps we need to consider that a column dedicated to Ermine once stood at a site in Dorset, and this column was associated with the symbols of The Stag and The Serpent. (Perhaps in some versions of the Irminsul the Serpent was at the base (as Iggdrasil) and the Stag (a Solar Symbol) was on the top, replacing the 'wings'.) 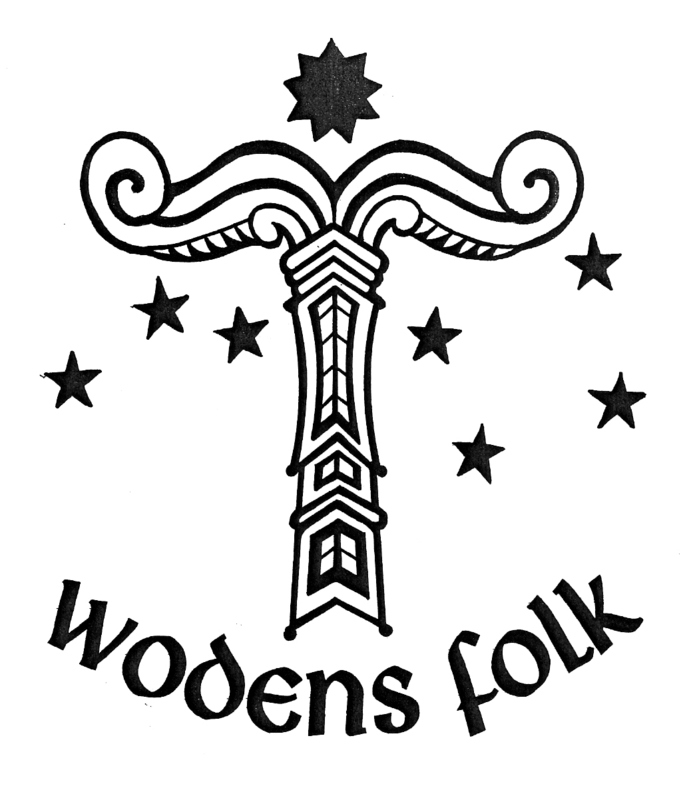 The actual glyph of the Ior-Rune suggests a windmill and this may be symbolic of the World Mill which has to be linked to Waendal-Mundelfore - the 'Turner of the Mill'. Whatever the case this rune is also associated with the World Column or Cosmic Axis. Ear - This is usually seen as the 'Earth-Grave' and thus to the 'earth-bound' but it may also represent here part of a pair of symbols related to the Way of the Ancestors and to the Way of the Gods. The Ear-Rune would thus represent the Way of the Ancestors. To understand these terms we need to understand the Aryan Hindu lore concerning this. The Way of the Ancestors is the Pitri-Yana which is the Way of the South. But we need to here consider the idea of the Inner Earth as a dimension into which the lost land of Hyperborea-Thule was moved prior to the catastrophe of the Great Flood. Cw-Eor-th - The 'Way of the Gods' was called the Deva-Yana by the Aryan Hindus and thus was also known as Uttara-Yana - the Way of the North. We have seen in other articles of mine how the Northern Gate is in Capricorn and the Southern Gate is in Cancer (though precession may make this different). This way is the Way to Valhalla where the Divine Heroes (Vira-Wera) go in between their incarnations in order to prepare for the next 'resurrection'. The Uttara - Kuru (Ku-Ru) were the Race of the North associated with Hyperborea-Thule. This mystery is also connected to the Divine Fool who is The Hooded Man and thus to Perseval ('Pierce-the-Veil') and to Parsifal ('Pure-Fool'). These names are also connected to Perseus who was an Aryan Divine Hero and slayer of the sea-monster or sea-dragon. I have in other posts questioned the title of this rune as well as the Peorth-Rune, and also suggested their connection. Breaking this down as Cw-Eor-th underlines the links between these four runes, but it also suggests that the added root-sounds make this a separate rune, or rather aid the suggestion that it is also part of another sequence - Cweorth-Calc-Stan-Gar - which are the Graal-Runes or the Four Hallows. The Cweorth-Rune is also the Sweorth-Rune through a subtle play-on-words and this is also connected to the Fire-Twirl being symbolic of the Flaming Sword of Kalki Avatar (HelgiH). This is the Fire-Sword that melts the ice of entropy in order to whisk into being a New Creation. There is also another rune connected to the sequence Yr-Ior-Ear-Cweorth and that is the Ger-Rune in its alternative name - Ar. 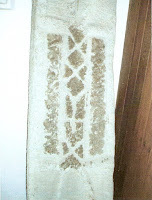 The Old English rune-stave is that of an upright column with a Germanic Ing-Rune at the centre, thus once more linking with the Cosmic Axis - World Column but also to Ingwe or Ing, and maybe England as the Land of Ing. The Aryan Root *ar- or *er- gives us the basis for our word 'year', and the Germanic Jera-Rune suggests 'movement' and 'turning' (or the seasons). But the Aryan Root *er- also means 'to set in motion' and thus refers to the aforesaid force mentioned by Miguel Serrano - ER or IR - and thus to the Ir-Min-Sul. (This can refer to the Ir-Man/Ar-Man but it can just as well refer to the Ir-Minne/Ar-Minne - the Ir-Memory). The same root gives rise to the word 'earth' and thus extended as *ear-. This is a living tree as shown in the Tarot Card. The figure makes the shape of a + Cross over a triangle. The 'halo' suggests a Divine Being or Enlightened One. The T-shape (rather than a cross) suggests the shape of the Irminsul. We have an upside-down Y-shape with a 'cross' piece added, which would make much the same shape - it would also (as suggested elsewhere) symbolise the Inga-Fire which here links to the Cweorth-Rune as the Fire-Twirl. The symbolism would here be seen as the Gift of Ing. 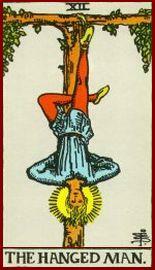 This upside-down position would also suggest the correctness of the runes running downwards along the Spinal Column. Using the Three Cauldrons Method Woden would reach downwards into Ur (The Origins - The Place of Origins) and thus recover the Holy Runes. 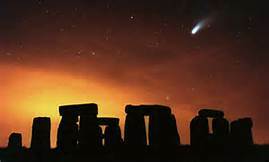 (It should be noted that the name Waendal stems from the Aryan Root *wend- which means 'to twist' or 'to turn' and connects directly with the Cweorth-Rune as the Fire-Twirl.) We should also consider that Woden may have peered into the Inner Earth in order to recover the runes, since these would have been lost with the sinking of Thule-Hyperborea. This is the Rune of The Hooded Man - Woden as 'The Hooded One' (as Hamasson suggested some time ago). This rune is the Rune of At-al-land - the 'Racial Homeland' - which esoterically refers to Thule-Hyperborea which exists within the Inner Earth (another dimension). It is also the rune of Ata-Land which is rooted in the Root *ata- meaning 'beyond' (***), and thus the Rune of those Beyond. This is the link to the forces of sunken Atalland. This rune is also the Gift of Ing and connected to the Gar-Rune. The rune-shape is also that of the Spearhead linking this to the Gar-Rune (both are the 'Gift of Ing'). This is the Column of Er in the Irminsul, and also the Spear of Parsifal - the Divine Fool. We can surmise that the Odal-Rune can be used to 'communicate' with those Beyond - with the Racial Homeland of Thule-Atalland. This is an 'antennae' that makes the connection possible. It is interesting to note that in the Hidden English Rune-Row (****) the Odal-Rune is represented by an Ing-Rune with downward-pointing arrow, suggesting the Inner Earth. This card is numbered '0' and thus The Beginning and the End or The First and the Last just like the Aces of the normal card game. (It should be noted that before 'The Joker' card became part of the pack the Ace of Spades had the figure of 'The Joker' on it.) Note that the figure here holds the White Rose of Albion in his left hand. 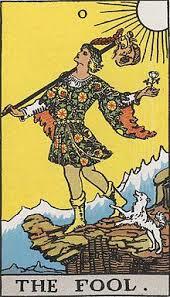 This is The Hooded Man or the Divine Fool whose motley garb shows in this card. This is the O-dal Rune which is numbered '0' and which can come either at the beginning (Thule) or at the end (Thule Rising). 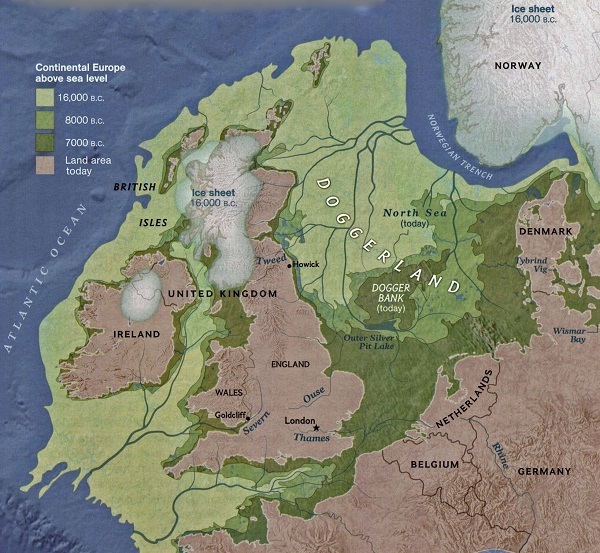 It has been mentioned many times that the original title of this lost land was The White Island which was later given to these islands as Albion. We have mentioned in previous articles how the name Albion also links to the word alb which means 'elf'. Thus, the White Island can also be seen as the Island of the Elves fitting nicely with the ideas of J.R.R. Tolkien in his works 'The Book of Lost Tales'. Since the God of the English - Ingwe - was the Lord of the Elves these islands were once named after this Divine Figure. (This is why the name Ingwe and its variations - Angus, AEngus, OEngus etc. can be found throughout these islands.) The Elves were also known as The Shining Ones who come into so many legends of ancient times as to be seen as the former Hyperborean Race who set up their lands in the Far North and who were a race of beings translucent in form that gave out a Blue Light due to their 'Blue Blood' as the High Royal Race - the Blue-Fire of Ingwe (Igneus Fire). The Odal Rune is also, if rounded rather than angled, the ancient glyph of the god Atlas who holds the world upon his shoulders. Atlas, I have suggested before, may be seen as At-al-As meaning 'The Racial Ase'. It is interesting to note that the top vertebrae on the spinal column is named after Atlas which suggests a connection between the top of the column and the Odal-Rune. 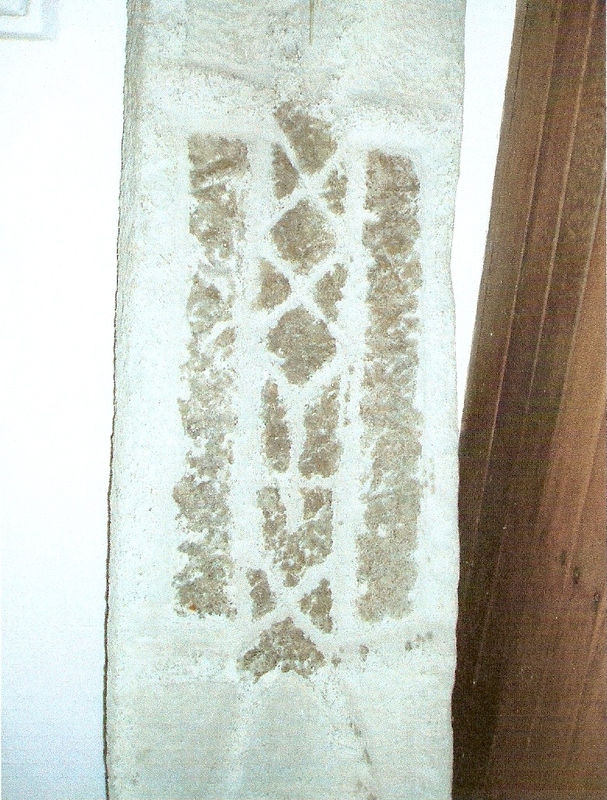 It also suggests that if we ignore the fused bones at the base (coccyx and sacrum) the 24 runes could fit upwards along this section of the column, ending with the Odal-Rune. Interestingly the top two vertebrae are connected to each other in their use Daeg-Odal. The Hidden Sun or Black Sun is the Ur-Sun of Thule, the Ancient Sun that gave its light to Thule-Hyperborea and which is now the Sun of the Inner Earth (i.e. the Hidden Sun in another dimension). This is black simply because it is hidden and was replaced by the Golden Sun of our world; it will be the New Sun mentioned in the Eddas when the worlds are renewed. 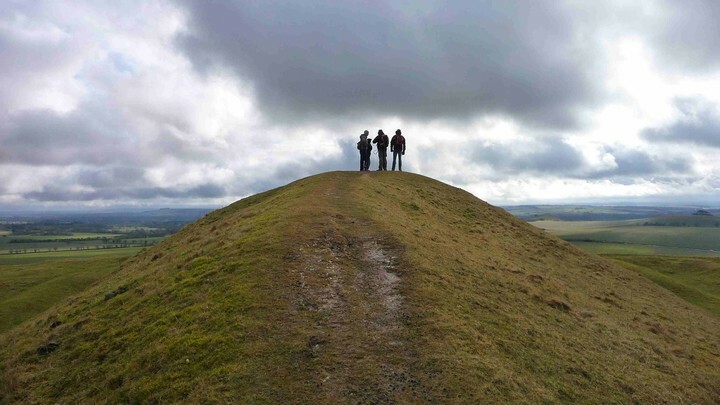 The Way of Return is by the route of Iring's Way which is the name used by the Old Saxons for the Milky Way; this we symbolise by the White Dragon which is a winged, coiled serpent, 'white' or 'milky'. The prefix er- always suggests movement towards above, i.e. movement towards the Divine, as does the similar ar- which is the root of the word Arya. This is why the Milky Way (seen above us) is used as the symbol of our return to Thule and the Origins. (*) VRIHL - This is the spelling used by Aleister Crowley it would seem, no doubt so as to fit the name into his Hebrew Cabbalistic System through numerology. The usual spelling VRIL adds up to 61 using English Gematria, the number being also that of the name W-O-D-E-N.
(**) ODIC FORCE - Bulwer-Lytton equates Vril with the Odic Force. (***) ata- Note the name Ata-cama for the Atacama Giant. (****) HIDDEN ENGLISH RUNE-ROW - This was received during a vision by a Woden Initiate a few years ago and sent on to me since it was considered to be what I had been looking for. The circumstances were strange (to say the least) so it has to have some importance. It is a completely revised 33-rune row but with some study revealed certain secrets that show that it may well be a valid rune-row whose purpose is as yet unknown. The rune-row has not been revealed since it is something for the future and needs a good deal of further study. Rather than the Krist-All (Crystal) of Guido von List this one enfolded out of the Ing-Rune, which itself enfolded out of the Krist-All or Mother Rune (Seed of Life). This suggests a continuation of the work of the Armanen in some way. This poem was by William Bilton and in it is the suggestion of a 'Heaven-Gate' (what is perhaps termed 'Star-Gate' by the New Agers, but which we shall refer to as a 'Gateway to the Gods'). This 'wide gate' is opened by the 'Last Trumpet' which obviously refers to that of the 'Angel Gabriel' but which would originally be the Horn of Hama-Heimdall. This gives entrance to 'the soul its mate' which here suggests the HE/SHE of Miguel Serrano. What is most interesting about this plaque containing the poem is that the man's face looks towards an ancient barrow named 'Adam's Grave' but which was originally named 'Woden's Barrow'. This is an ancient barrow with two smaller ones each side of it, and the site of certain Wodenic Rituals undertaken through Woden's Folk in the past. There is a 1200 year old Yew Tree in the churchyard too. 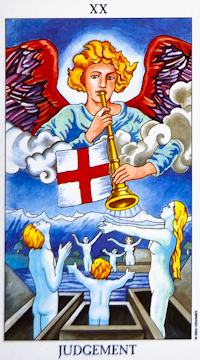 The Tarot Card named 'Judgement' ('Last Judgement') shows the Angel Gabriel (Hama-Heimdall) blowing his trumpet (horn) on which is the Flag of England. Below this figure are people rising from their 'graves'. The symbolism is Christian but obviously has heathen roots at some stage. The 'barrow' in the above piece is a 'grave', or has the same symbolism. The key to the way into 'Heaven's Gate' suggests that of sound (gealder). Note - The two rune-sequences Yr-Ior-Ear-Cweorth and Cweorth-Calc-Stan-Gar suggest that our Saxon Ancestors were not quite so 'backward' as most would suggest, and that they knew full well of the Mysteries of Hyperborea held in the White Island, and retained these mysteries within their updated rune-row. Yet another interesting thing is that they also added the Ac and AEsc runes, both of which were trees used as symbolism for the Cosmic Tree, and held this in yet another cross-over sequence of Ac-AEsc-Yr - Oak-Ash-Yew. Are we to believe that this is a coincidence? I don't think so! Indeed, as shown here, the added Nine Runes can all thus be connected to the Sacred Centre, the World Tree - Irminsul. It also suggests that the Oak-Ash-Yew Trees are all valid symbols of the World Tree. Lastly, whilst I was doing this post in draft ready to put together I had to take a blood test due to an injury I have at this time; this did not go too well since the blood stopped flowing into the needle which stayed in my arm for a while, causing a bruise that normally does not happen to me. The next day I removed the plaster to see a bruise in the shape of the Number 9. That evening I opened an email from Veorsson with a link to a YouTube video on The Sacred Number Nine! This caught my interest straight away so I watched the video, and others on similar subjects. I will not go into details here but the Number 9 has some very strange properties which the video-maker(s) deem to suggest that this number governs Time and Space both existent and non-existent at the same time - it represents everything and nothing (0) at the same time (+) It should be noted that the Number 9 is a glyph of a spiral just as the Number 6 has the same shape but in reverse. You can see the videos on YouTube under 'Sacred Number Nine'. (+) - Presumably this is due to the fact that the Number Nine is the last of the sequence 1 to 9 which then renews itself as 10 which is the Number 1 to the next level. The first digit would be the Number 0 which is always left out in modern 'mathematics'. The Number 0 is added to the 1-2-3 etc. to get the next level of tens in the sequence. Using the type of gematria suggested here the Number 9 governs squares, triangles and polygons etc. through adding the numbers together to make a single digit. This method is certainly not 'modern mathematics' but Pythagoras was a mystic as well as 'mathematician' and the ancients used ratio rather than 'numbers' for adding, subtracting etc . as we do today. The Number 9 - nine numbers - is thus like an 'octave' - a sequence of numbers that moves through different levels. The White Rose symbolism can be found in old woodcuts of Irmin/Ermine together with the Sword, Spear and Scales (Justice). This was the symbol used by Richard III in his war against the Red Dragon/Red Rose which he lost in 1485 at the Battle of Bosworth, the power now being fully in the hands of the Red Dragon-Red Rose, hence the use of this symbol in 'English' sport and elsewhere. The White Rose represents Albion - The White Island and its original form as Thule-Hyperborea. The Battle of Bosworth was symbolic of the last blow to the English Destiny but, like the Sleeping King this was no 'ending', just a sleeping for the next 500 years until the Phoenix would arise from the ashes - or in this case the White Dragon-White Rose of Albion (the symbol was revived in the 1980s). We are told that the art of acupuncture originated in China, most giving the date of around 2000 years ago with a few claiming some 4000 years ago. The Chinese, unlike our ancestors, recorded everything in writing so that it would be available to those to come - our forebears passed on their knowledge through the spoken word mainly, especially in very early times. The Chinese still use acupuncture today, and this practice is sometimes frowned upon by our medical profession. 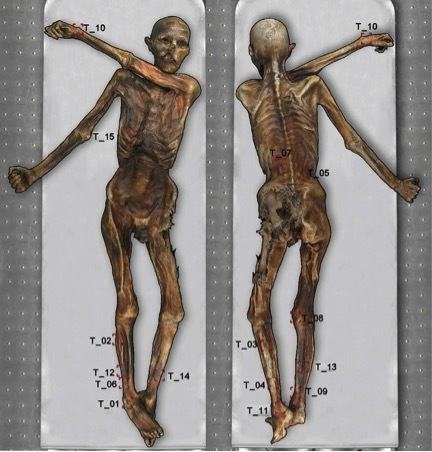 In 1991 the body of a European Man was found in the mountainous region between Austria and Italy; this man had brown eyes and was of Blood Group 'O' which suggests a Mediterranean origin. He is affectionately known as Otzi the Iceman since he was found frozen in Ice, which preserved the body for posterity. What is interesting is that he had 61 tattoos on his body, nothing unusual except that many can be seen to be placed upon various acupuncture points. He is dated as 5,300 years old, which is at least 1500 years before the Chinese are supposed to have invented acupuncture. What suggests that these points were acupuncture or 'pressure' points used to relieve pain (as they can be used today) is that some of the tattoos were placed on the lower back and joints where he suffered from joint and spinal degeneration. 'The Man in the Ice' - Conrad Spindler. 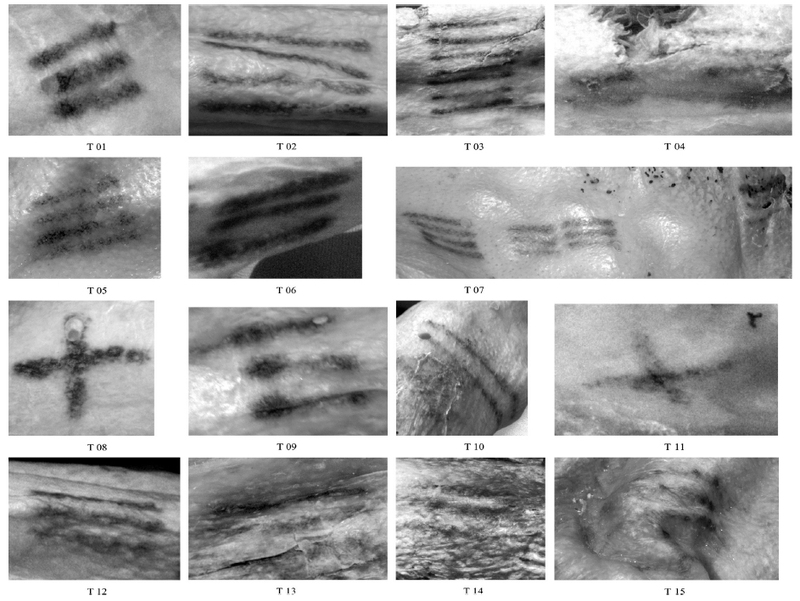 The above shows the type of tattoo marks on the body of the Iceman. They are clearly not there just for design as they are simple lines rather than drawings. 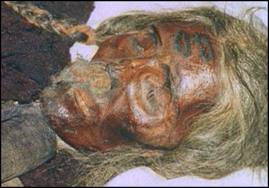 The above photo shows one of the fair-haired mummies, obviously of Northern European origin - the hair is even plaited in the Germanic way. 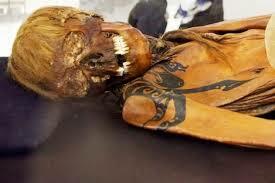 This photo shows the tattoos on the upper body of another mummy, extremely well preserved for the age. The importance of these finds, some around 4000 years old, is that there were Aryans in this region in ancient times. This gives credence to the occult legend that when Atlantis sank the Manu of the Aryans led them into the Gobi Desert where a vast and mighty civilisation was built. This was eventually destroyed by a catastrophe, and is long before these later peoples existed. There are legends of a long-lost tribe in ancient times known by the Chinese as the Wusun/Usun - a name which means 'Descendants of the Raven' for in Wusun Legend their ancestors were the Raven and the Wolf. These people had blue/green eyes and red/gold hair and some say that from their name was derived the title Sacae-Sun - from Saka-Usuni. The Chinese sometimes referred to the Scythians (Saka) as the Se Nation. There is a possibility that the mummies could be linked with these people, but we cannot be sure. 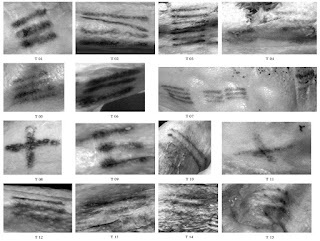 Ptolomey mentions a Scythian people sprung from the Sakai, and he uses the title 'Saxones' for these people. We do know that a section of the Skythian Nation entered India, and another settled in Armenia, the latter being the Saccasani. We can assume a mass migration southwards, since some of this time coincided with the last Ice Age and the frozen North. This would have displaced other peoples in Europe who would be pushed further south, pushing others even further, and maybe into China, India and Tibet since these lands also have legends of ancient White Men - as does South and Central America. Since this catastrophic change happened around these islands then the movement of peoples must have included the peoples of these islands. The catastrophes happened over a period of thousands of years, though such changes would have meant instant catastrophes, the evidence of which we have in volcanic eruptions, earthquakes and tsunamis - all of which cause great destruction and death, as well as the problems that come after these events. In certain Aryan Indian texts the most ancient 'White Island' was actually referred to as Atala whose root is At-al (-a) meaning 'race' or family'. This is a coincidence when we find the earlier name Albion ('white') used for England. Although we refer to the White Island as being Thule-Hyperborea originally, which 'sank' (into another dimension) in the most ancient times at the end of the Golden Age, the same concept was later used of other Germanic Lands and Cultures that arose, including that of the much later Atalland. The name of the original Ur-Lands was used long after its memory had faded, but also remained in the Blood Memory that can be awoken. If we look at it this way then the Golden Age still exists but in a different world than ours; it 'sank' into the Blood Memory which means that it can be awoken again through certain spiritual exercises. This is where the legend of the new arising of Atlantis comes into play since although this may be a physical happening, it is also symbolic of the awakening of the Blood Memory. The Aryan Wanderings are held in legend where a Race of Giants appears in various parts of the world, bringing culture and civilisation, the lore of the stars and advanced Aryan Science to many different peoples. In some cases these 'giants' were slaughtered by the native peoples, even though the tales tell only of their aid and help to these peoples. But there have always been those who hate that which holds beauty and high intelligence, and those less well gifted who become jealous and hold only hatred within their hearts. This Race of Giants no longer exists but it once did, and the memory of these advanced beings, god like Shining-Ones, exists within the Blood of our Folk, to be awakened in order that the new Golden Age may come into being.